Quality and quantity are two of many attributes that the Maine Anjou breed possess. 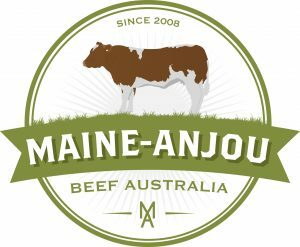 Originally from France the Maine Anjou has adapted well to Australian conditions, feed efficient, fast growing, easy calving, docile, large cattle with excellent milking ability (originally dual purpose). These sought after features have become necessary in today’s climate, leading to the Maine Anjou breed becoming a silent sister to many popular breeds today. The tender succulent beef produced by Maine Anjou cattle is second to none, with most consumers repeat customers. This fact backs up the consistent quality and logic behind Maine Anjou beef becoming a premium, highly sought after beef. With the use of Maine Anjou bulls, meat quantity and quality in calves can improve, leading to profit increase. A Maine Anjou cross, grass fed steer, at 10 months weighed 397kg live at slaughter and dressed out 57% at 227kg. At McIvor Meats, butcher Steve believes the Maine Anjou breed have ‘very good carcasses’. Maine Anjou cattle calve easily and are known for low birth-weight and fast growth. The quiet temperament of these cattle ensures they are easy to handle, hence a great breed to show and less stressed therefore producing extra tender meat. 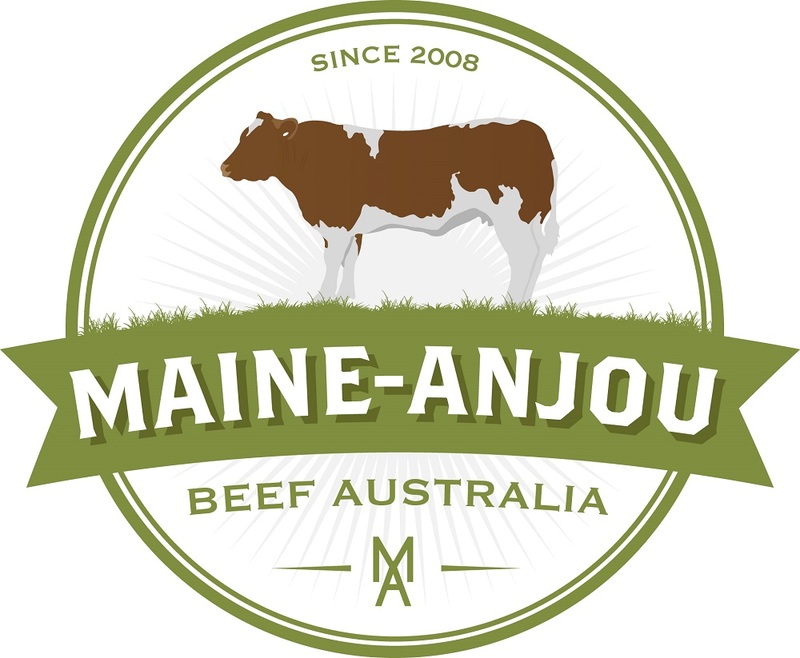 Structural soundness, smooth muscle, docility, feed efficiency and meat quality are what breeders of Maine-Anjou Beef Australia produce today.